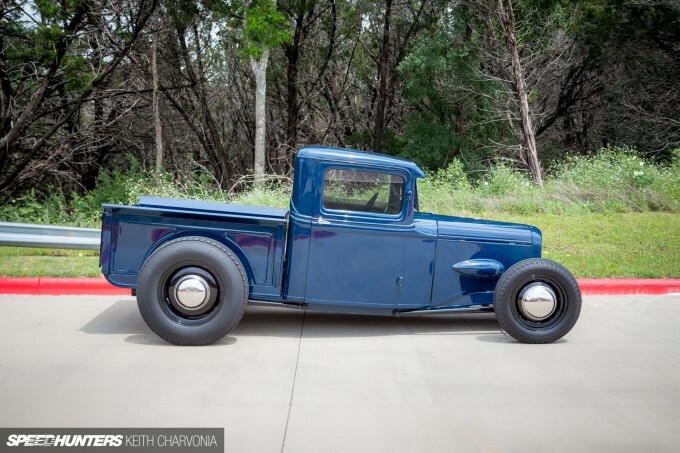 Ford’s Mercury brand didn’t exist in 1934, but if it did they might have made a pickup that looked like this. 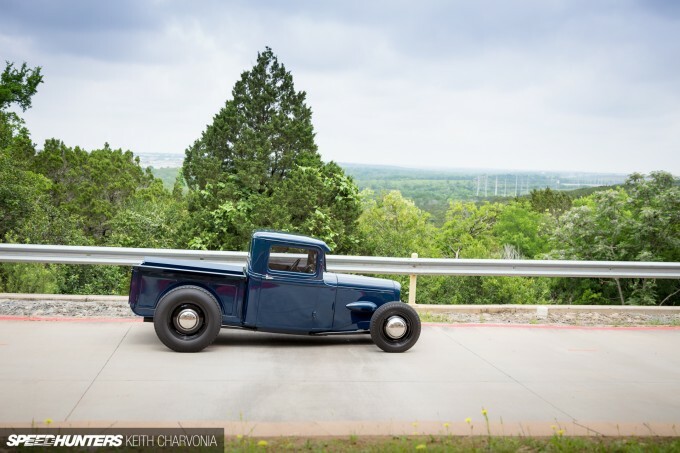 Matt Hooper has owned and built a bunch of early Fords, but recently he got the itch to build a hot rod pickup to beat around town. 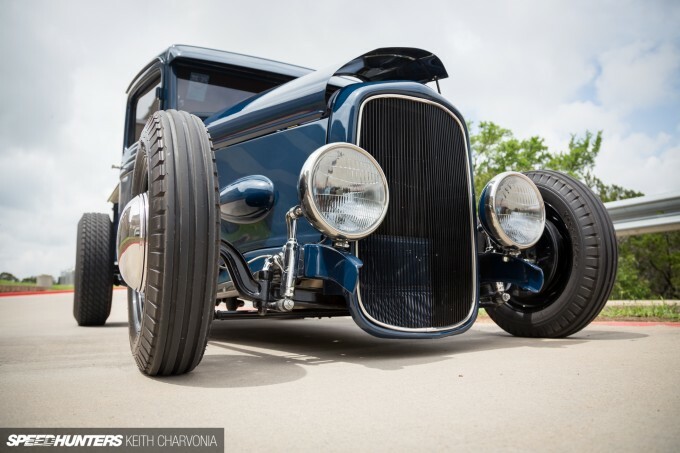 It wasn’t supposed to be nice – maybe just bare metal with a cool stance and a chop. Through mutual friends he met Ricky Bobby (yes, that’s his real name) and observed the extremely fast pace at which he worked, all while maintaining an exceedingly high level of quality. 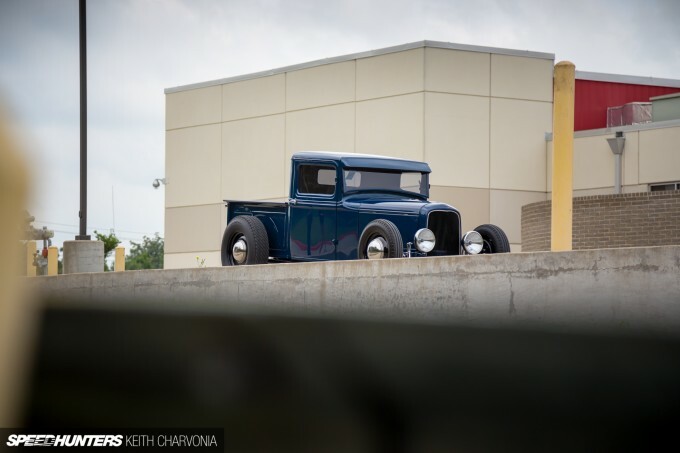 For Matt it was an obvious decision to have Ricky Bobby’s Rod Shop handle his pickup build. 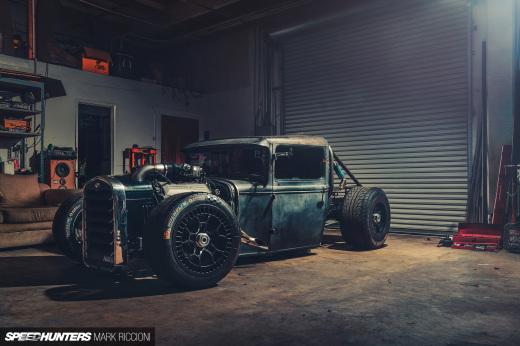 Ricky could crank out a hot rod in no time flat, so Matt could have his driver pickup in a short timeframe on a reasonable budget. Matt dropped off a pile of parts: an original ’34 truck cab and rails, plus fenders, running boards and other random bits. Then they planned. For 30 days the parts pile sat undisturbed while Matt and Ricky pondered what they were about to build. The verdict was a quick and dirty beater hot rod that could be cruised around town without concern. Clearly the ‘beater truck’ part of the concept was lost in translation, because once the boys got going there was no stopping them. Ricky and the crew at Ricky Bobby’s Rod Shop work fast – really fast. 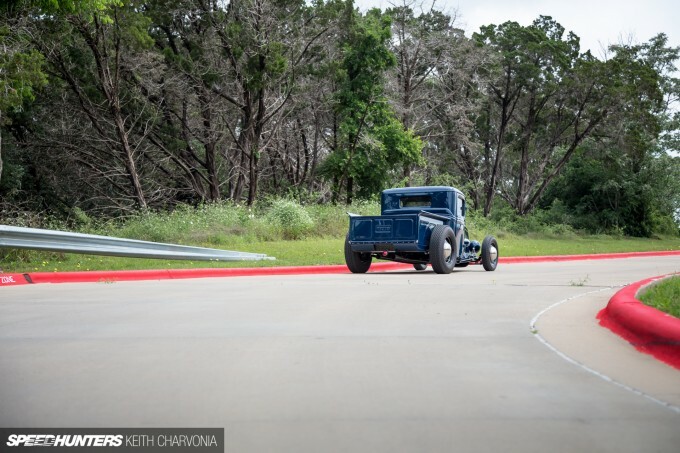 In fact, Matt’s truck was built in just 45 days. 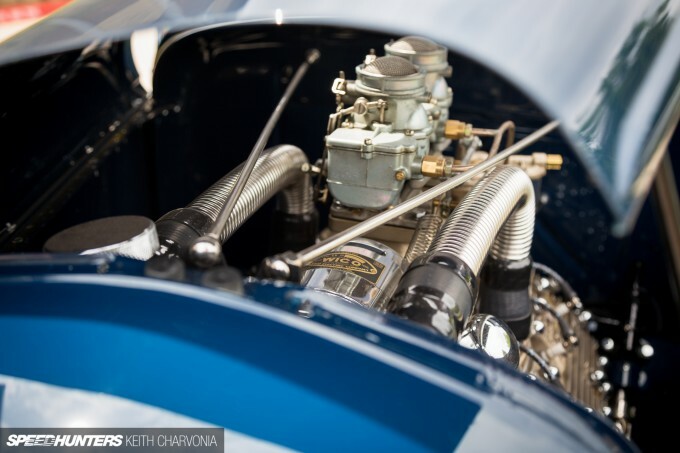 Originally they planned to run a ‘banger, but as soon as Matt came across a Merc Flathead, the whole scope of the build changed in two specific ways. First came mounting the Flathead, which turned into chassis work. The chassis turned out so nice that they figured they might as well spray a coat of paint on it. The body was a little rough to leave in bare metal, so they did some bodywork. Then they decided they should paint that too. The concept of a Mercury truck that was never manufactured was an appealing one. 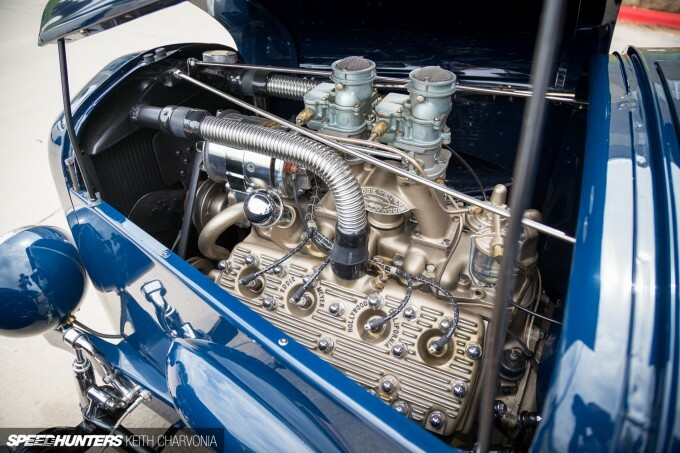 Ricky and Matt could use hot rod Merc parts to fortify their theme while staying traditional at the same time. Besides, part of the fun in building a hot rod is dreaming up the concept. Envisioning a hypothetical yet plausible theme is what keeps you from being that guy in the lawn chair sitting next to a generic hot rod. 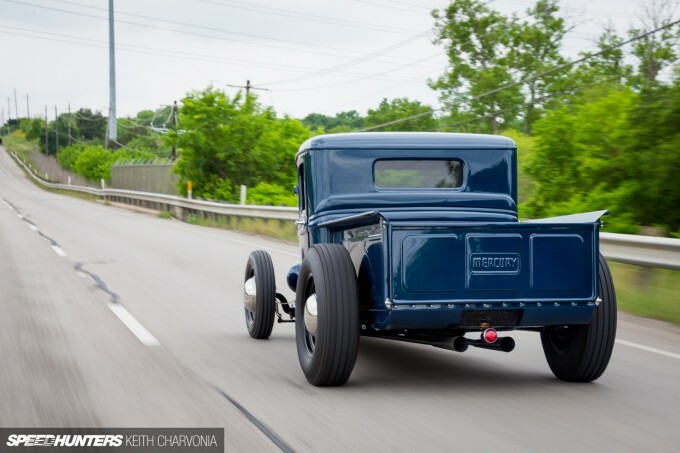 To this end, they devised a plan to build an early Mercury hot rod based on a Ford truck shell with just enough Merc cues to make it believable. 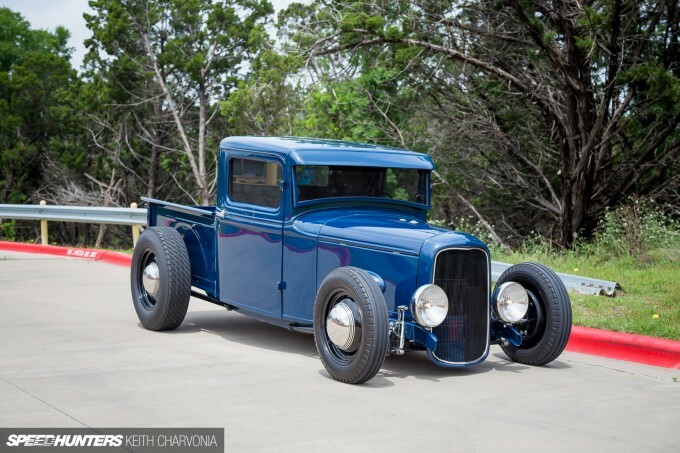 Starting with an original ’34 truck cab, Ricky chopped the top three inches. The frame rails were sectioned two and a half inches to make it look channeled without cutting into the already tight quarters of the cab. 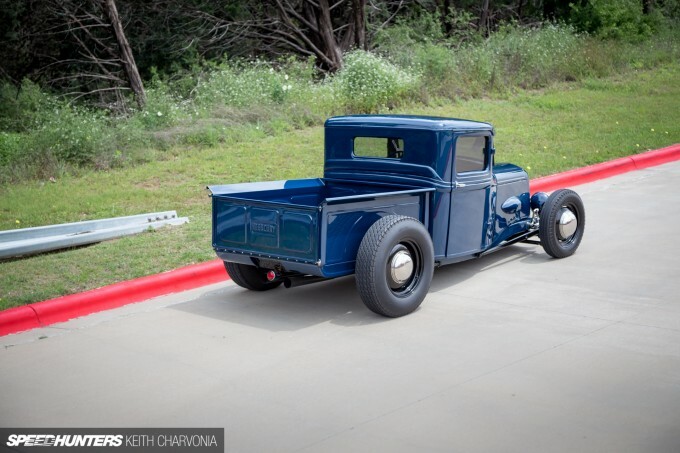 The ’34 Ford pickup frame was also shortened and the rear wheels moved forward, then the bed was custom built to match. 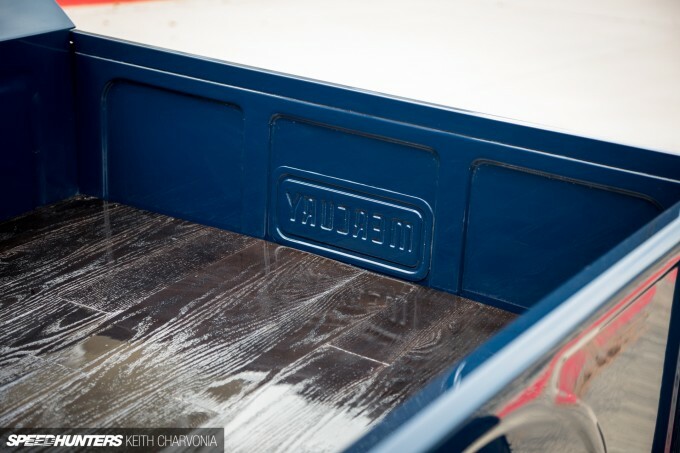 Stamped bedsides in this shorter configuration are available in the aftermarket, so they became the foundation for the scratch-built bed. 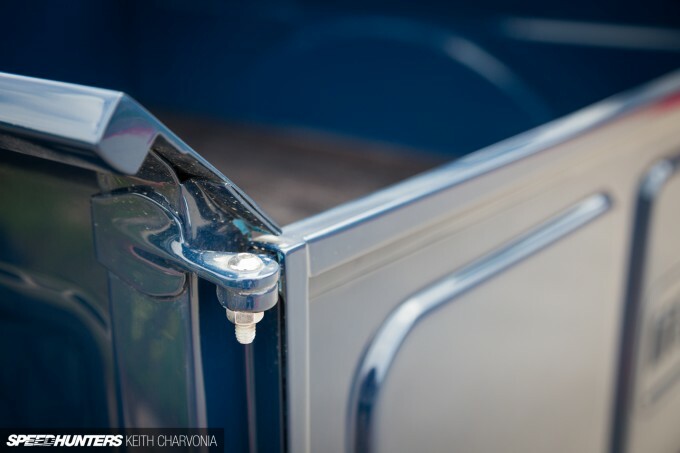 A ’48-’51 Mercury F1 truck tailgate was shrunk by six inches horizontally and four inches vertically to fit the ’34 bed dimensions. It looks so factory that it could easily fool the untrained eye. 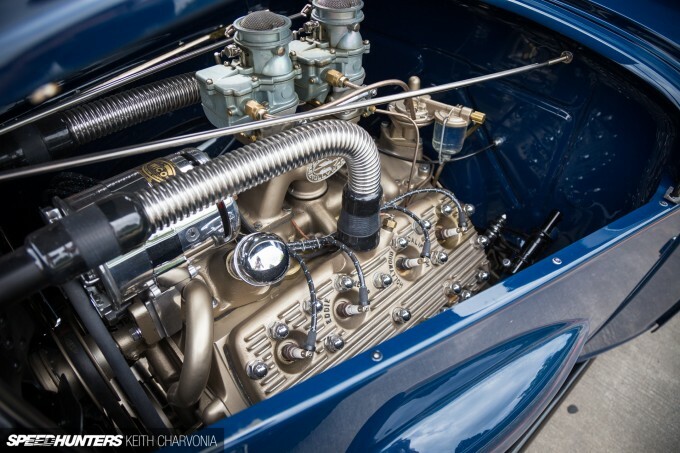 Likewise, a custom-made header panel was built from scratch to match the three-box design on the Mercury tail gate. 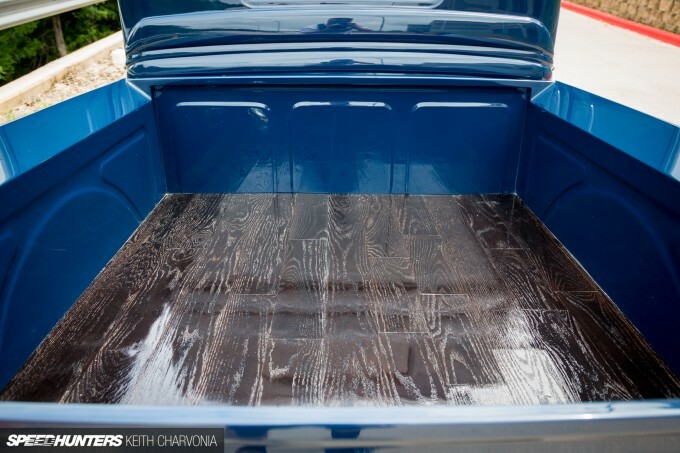 A hardwood bed floor was laid down, then coated with candy black automotive paint with clear mixed in for an extra shine. 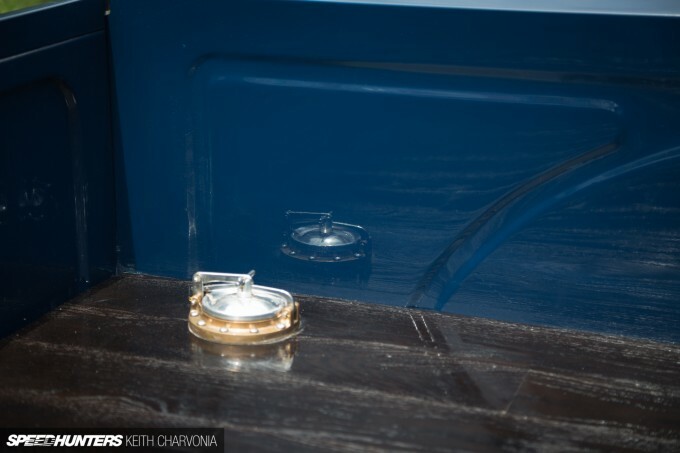 A cast aluminum fuel filler from Crafty B is tucked away in the corner of the bed. With all this custom work, it’s highly unlikely the bed will ever be used to haul anything. 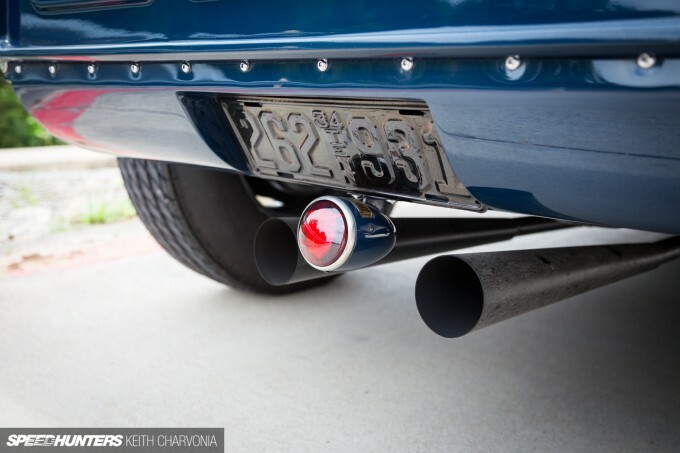 Below the hand-built roll pan sits a solitary tail light – a repurposed horn button from a ’53 Merc steering wheel inside a ’38 Chevy tail light housing. Also notice the original 1934 license plate, refinished in black to match. 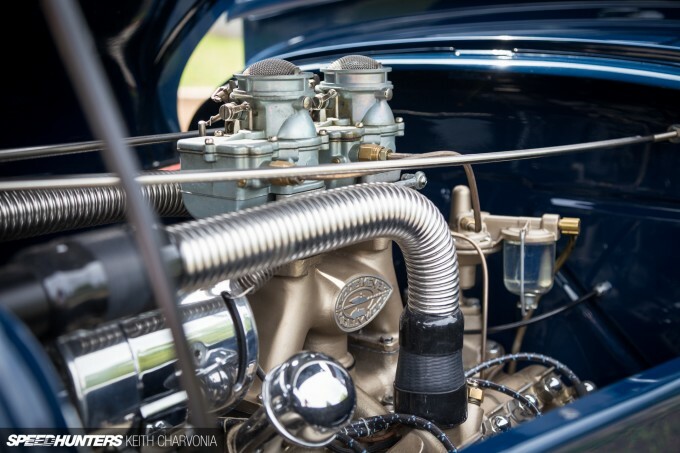 Of course, the biggest Mercury bit is hiding in here – behind the hand-formed hood and hood sides. Usually hood blisters are an indication of a monster engine that requires extra clearance, but in this case they’re for style points only. With a custom hood come custom hood prop rods. 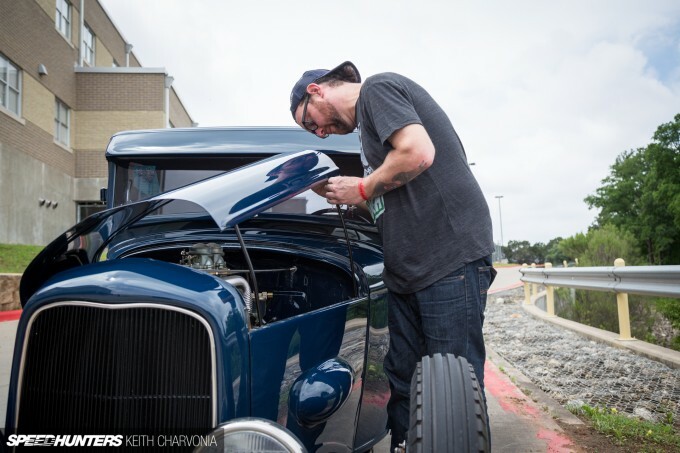 Matt’s hot rod pickup is powered by a period-perfect 1951 Mercury Flathead with a factory 3-speed overdrive transmission. 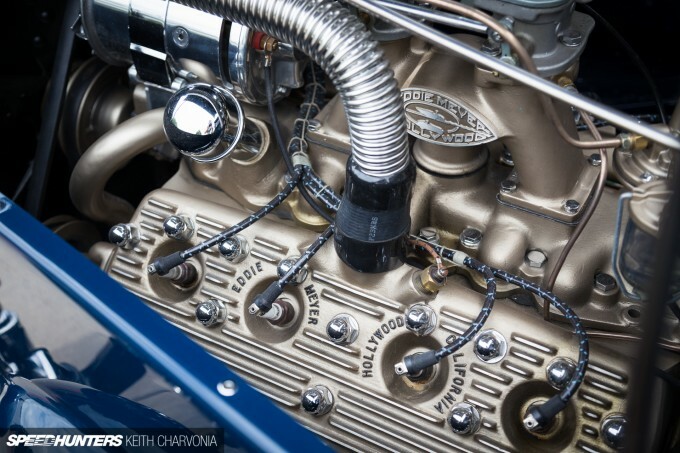 The plug wires were laced with hemp cord, and the entire engine was painted flat gold. 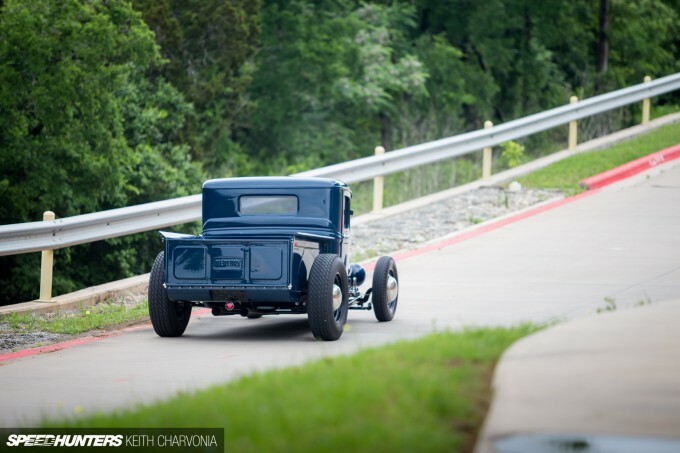 Matt admits the matte paint isn’t the best choice for an engine because dirt and oil like to stick to it, but there’s no denying that it looks good. 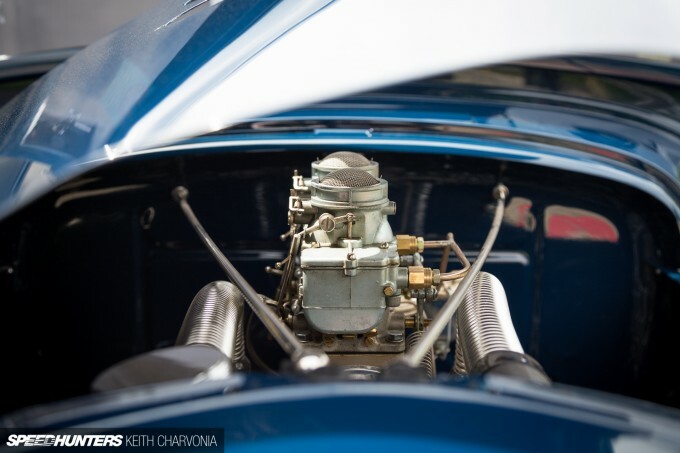 While the motor is stock internally, it has been treated to a set of Eddie Meyer heads and an intake topped with a pair of Strombergs. 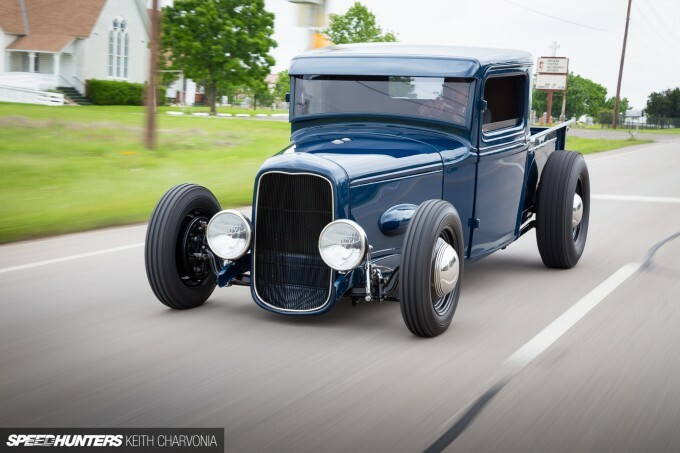 The truck makes the absolute perfect noises to complete the early hot rod feel. 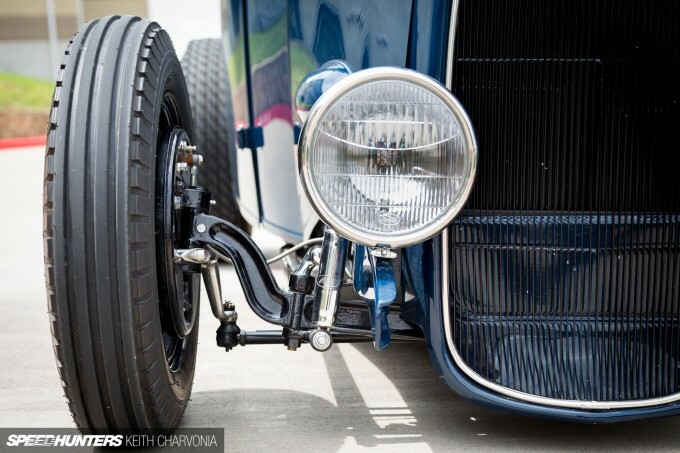 Keeping within the traditional hot rod scope, the suspension is all period-correct too. 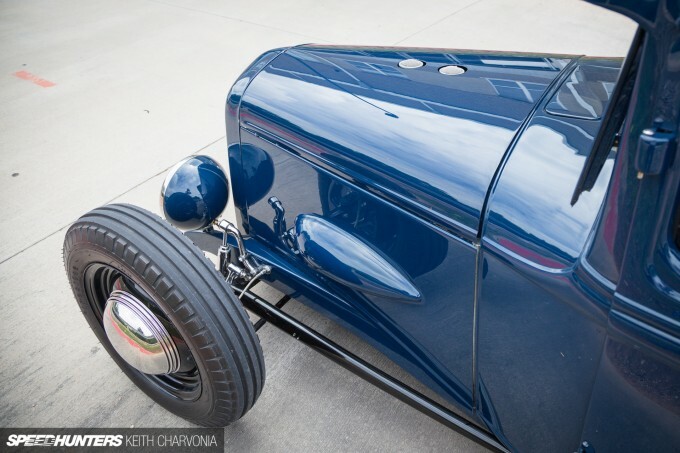 The front wishbones and spindles are off a ’37 Ford, with a dropped axle from SoCal. 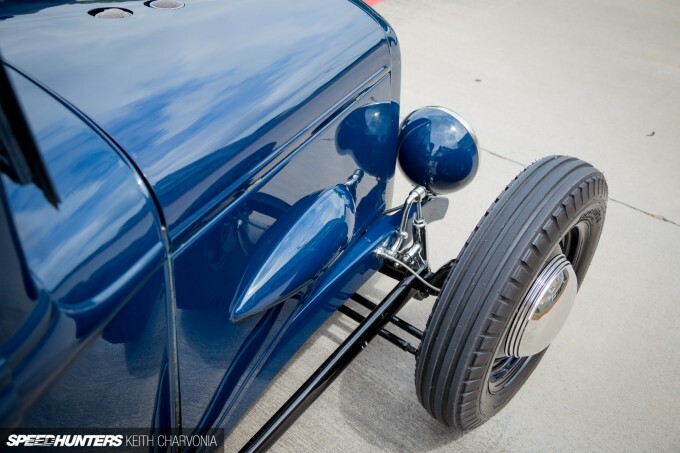 ’40 Zephyr brakes add hydraulic power – a common hot rod trick that does away with the mechanically-actuated brakes of the time. 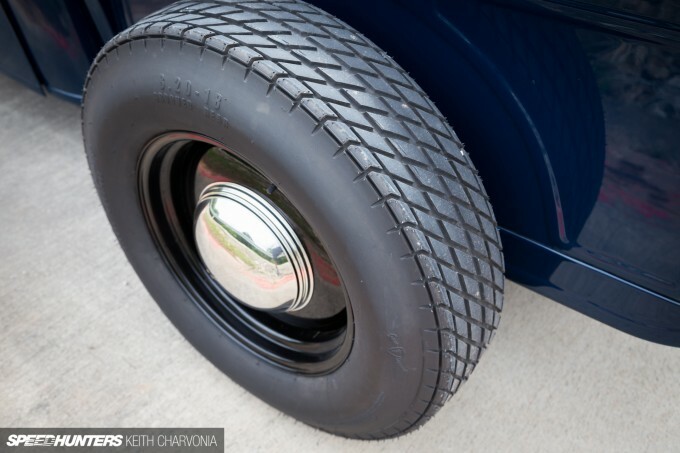 While the front 16-inch wheels are ’40 Ford stock, the larger 18-inch rears were custom-machined by Circle Racing. 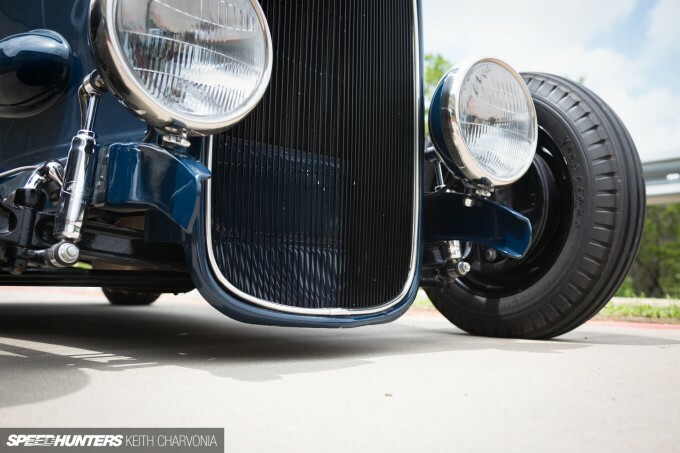 The ’32 grille is the lowest point on the truck, so it has some road rash on the bottom. Also notice the larger commercial headlights that give the pickup a wide-eyed look. The frame rails were boxed from the firewall back, but left open in the front for a more original look. Inside, a dash and cluster from a ’40 Ford were swapped in. 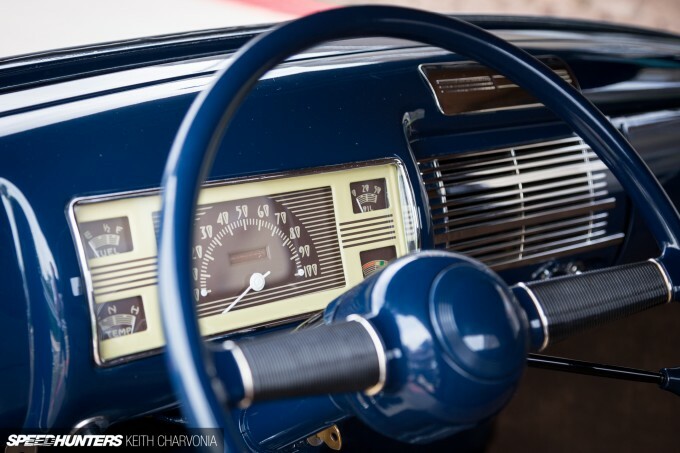 Ricky restored the factory gauges, then mounted a resto ’40 Ford steering wheel in a smaller 15-inch diameter. There’s also a three-on-the-tree shifter mounted to the column. 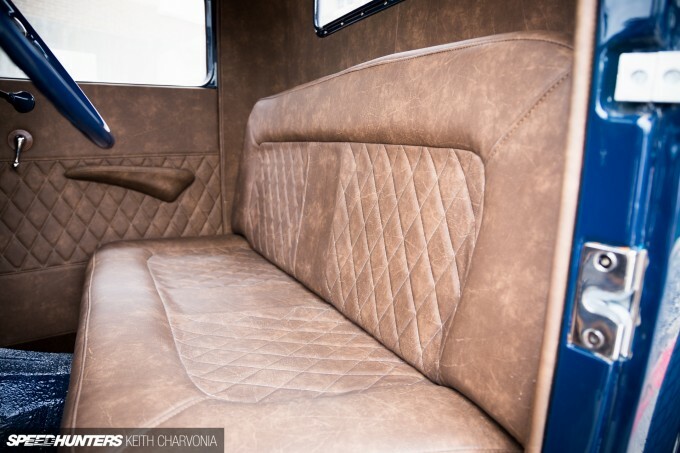 The interior is finished off in a weathered brown leather to tie in with the dark blue exterior. 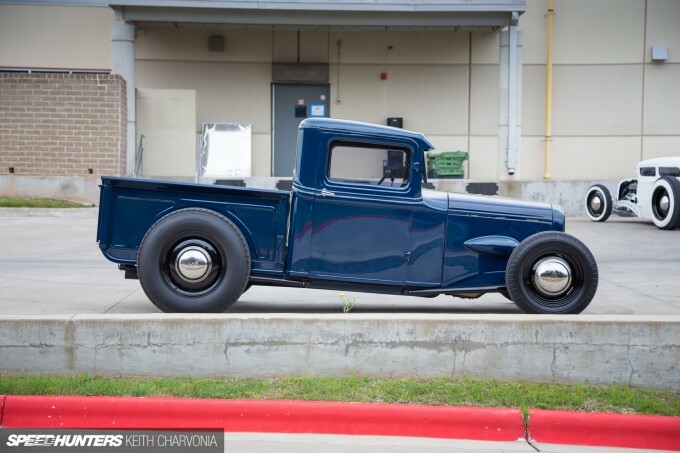 Matt thought he wanted an unfinished beater hot rod of a truck, but in his own words the final product “ended up a hell of a lot nicer than expected.” The finished ’34 is a testament to the skills of Ricky Bobby’s Rod Shop combined with Matt’s refined taste in traditional hot rods. It’s also been followed by three more hot rods for Matt coming out of Ricky Bobby’s Rod Shop, so I guess he’s well and truly hooked now! Just fantastic from every angle. So well done. 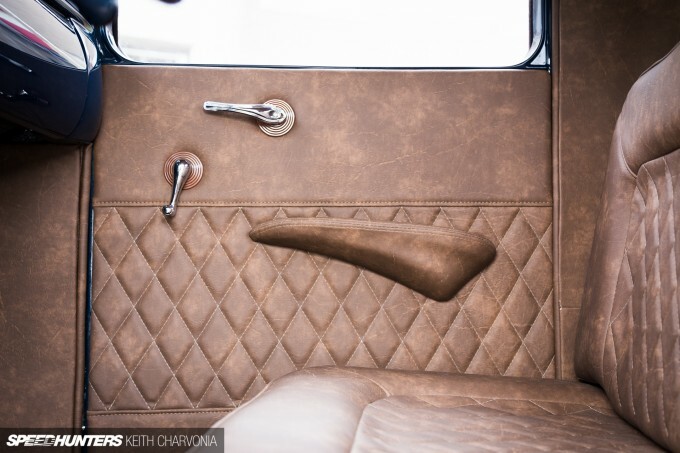 And that interior looks like heaven. This is absolutely spot on! The paint colour, simple yet so luxurious, I love all the details, the dark wood lining the bed is amazing! JakWhite Washington Blue, the perfect hot rod color. Restrained taste and implementation results in a cool factor of 1000+. What a sweet machines! 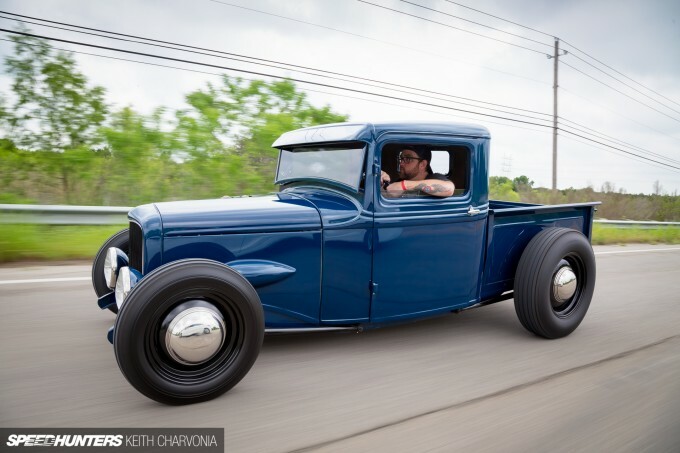 That man knows how to build a hot rod. Nothing I'd change. Top marks. 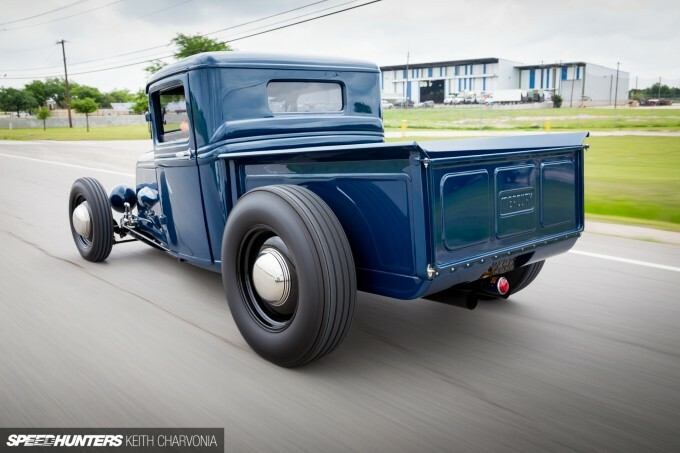 Whilst I appreciate the work and skill in traditional hotrods, normally I don't lust after them. This however, is causing me to suffer a huge bout of car envy! As per several comments before, I don't think I'd change a thing... For so many people to say the same, is there a bigger endorsement? I can't think of one! Kenetor Speedhunters looking at it makes you feel like a kid. Keith, this is awesome! I was reading on your instagram today that this is your first full feature on your own? This is awesome! Congrats man! 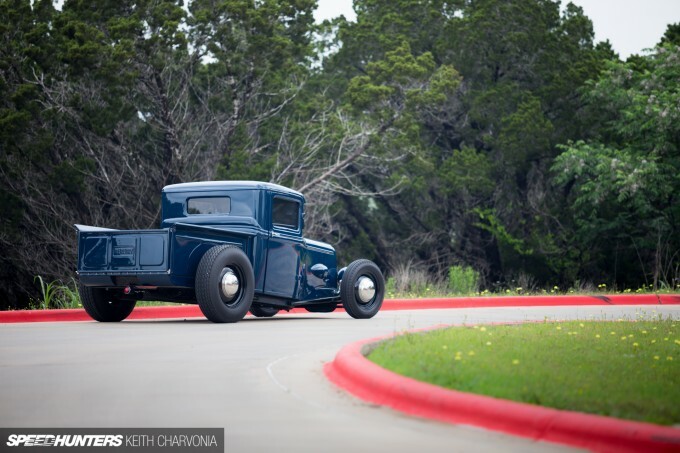 Beautiful car and photos! Clean doesn't even start to describe it, what a beauty! Great pictures as well! Great article Keith! Well written and the pictures are fantastic! What a bitchin' little truck! Beautiful! but what's with the bad alignment on the doors? They don't even look shut all the way..
Lachys114 Yeah in the past one of the other Speedhunters would shoot the car and I would write it, but this time I traveled to Austin solo so it was on me to capture the feature cars. I actually shot three cars! JonathanW Proof that if a car is well built it can be appreciated regardless of someone's preferences. Wow this thing is absolutely beautiful. 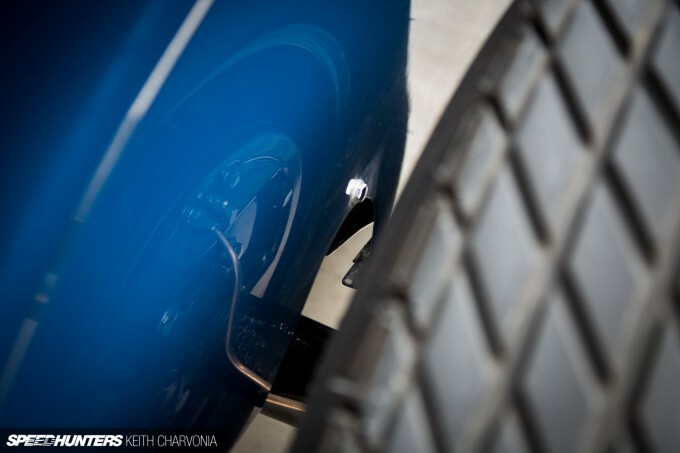 Great photos and attention to detail on the build, considering the tight turnaround! I think all of my troubles have melted away for the day after looking at this thing. I love it, good one buddy! Interior by Custom Covers Lebanon Tn. 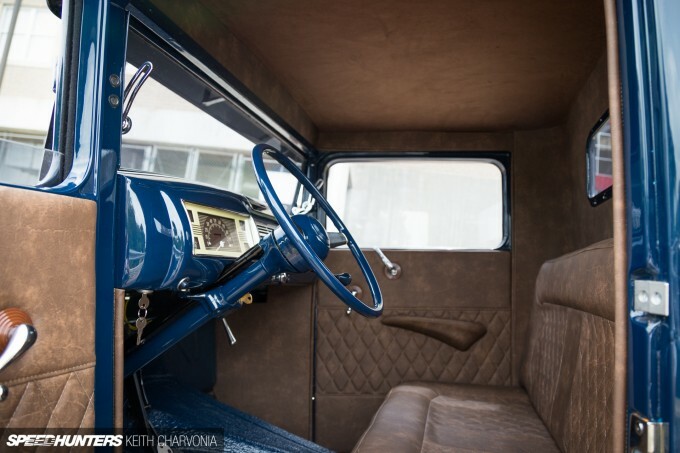 @mikenem These things never had flush mount doors, the back edge overlaps the cab, just the way they were made. It's way past appreciation, this inspired me on to eBay looking for projects within minutes! BTW I forgot to say how good the photography is here Keith, you're a man of many talents! JonathanW Thanks! I agree, if a car can make you go look for one on Craigslist, then mission accomplished. DanZajac Nice work, thanks for posting. Larry Chen You taught me everything I know. Sniff. mgermca Right. 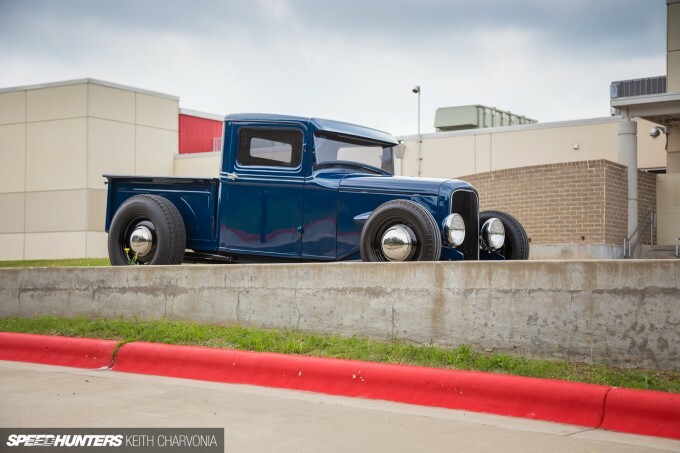 We might be getting spoiled by the insane level of hot rod builds today too. 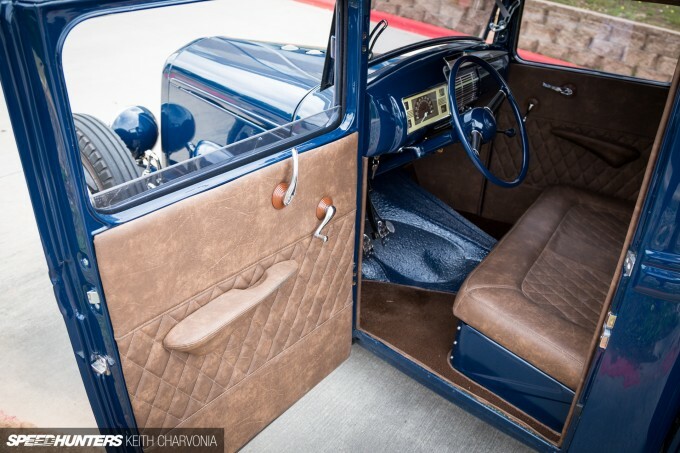 A six figure street rod would probably have the doors flush, but on a traditional rod like this it's okay to leave the 80 year old doors the way they came. 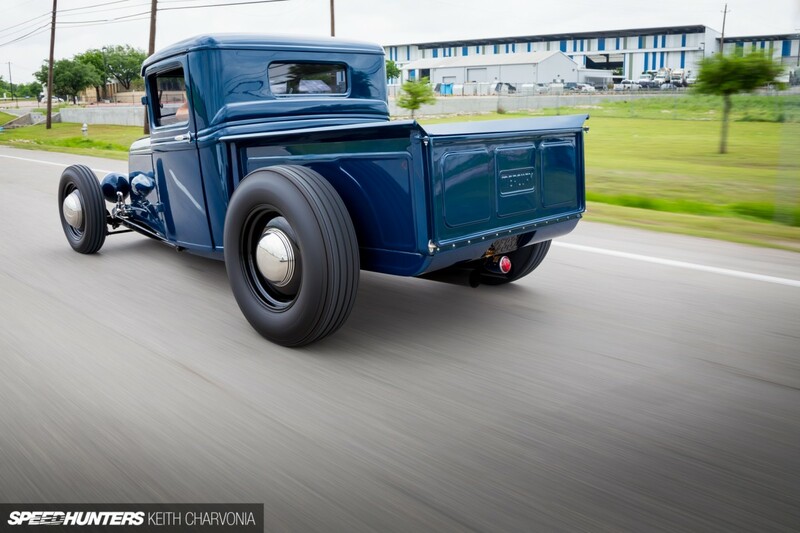 Love the Rake on this truck, and the interior! Everything on this just looks so right. 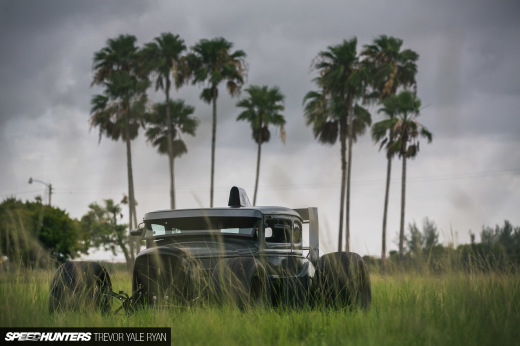 Coolest car ever featured in Speedhunters. GrammarPatrol911 That's how they were, see the conversation below. Nice stance as if the car is moving forward while it is standstill in a way that a cartoonist injects a speed feeling into his hand sketch !! petebrusch Wow already for sale? Thanks for the heads up.